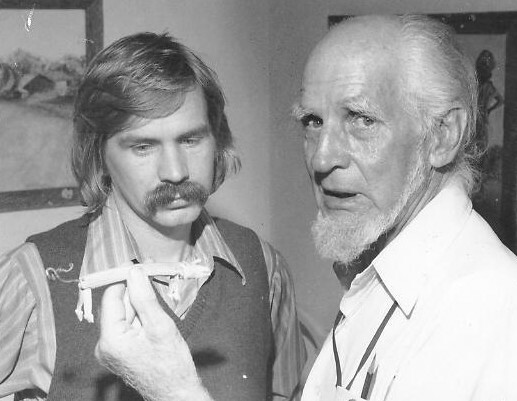 Richard Chase (1904-88), folklorist and performer, visited Ferrum twice as a consultant in the late 1970s, the early years of the Jack Tale Players. 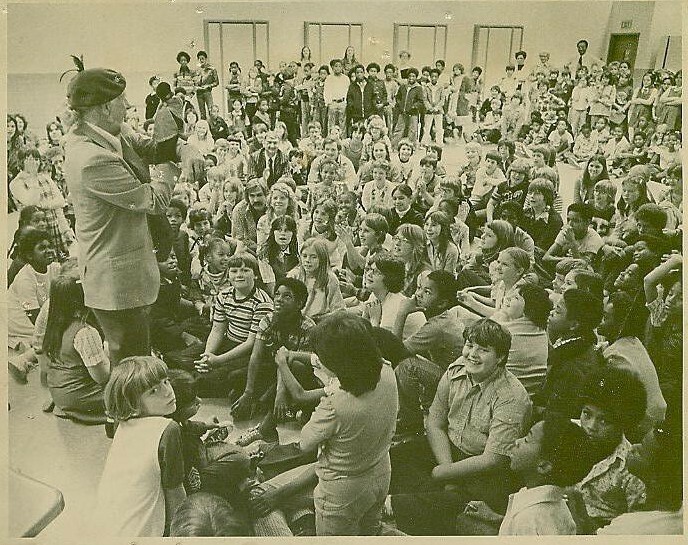 Richard Chase, with his stories, songs, and puppet, captivated audiences of all ages. 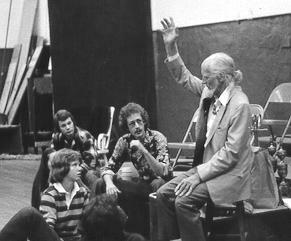 Richard Chase talks to the Jack Tale Players in 1977.
by the Jack Tale Players. 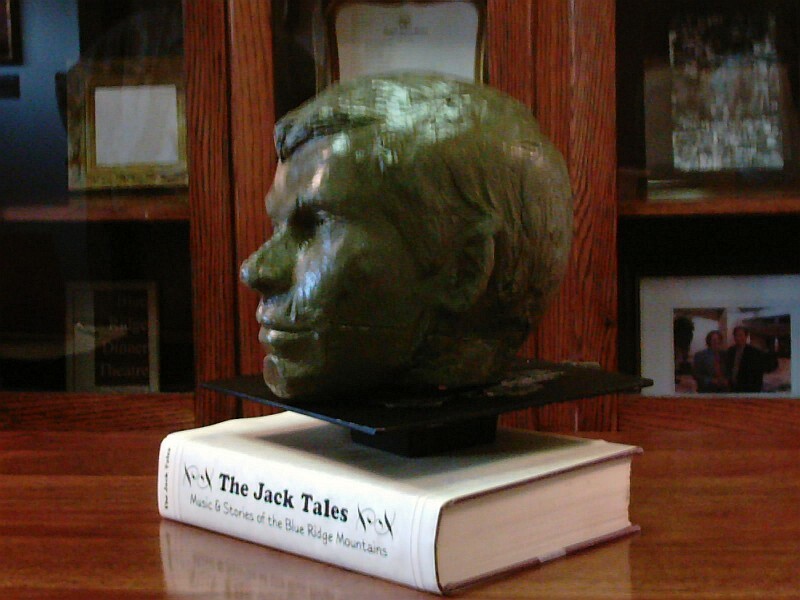 Rex Stephenson's retelling of "Mutsmag"
Study Guide on "Two Lost Babes"
Sculpture of the head of Jack used by Berkeley Williams, Jr.
given to Ferrum College by Mrs. Williams in 1978.